A tumor. Biopsied. Colon cancer. Mary immediately went into surgery to have the tumor, which had been hiding behind a flap of tissue (which is why they missed it the first time), removed. But it was too late. The tumor had metastasized, which is to say it had sent shoots out into Mary's colon, which meant the cancer was not contained and removing the tumor would not remove all the cancer. I was still with my most recent ex at the time, and he didn't want us to visit her in the hospital. "Your kids will take care of her," he kept saying. But he had never really been part of a family, and had never experienced a family's getting together in times of crisis. I insisted, and we did visit her—once—but clearly she was going to need more care than our busy children would be able to provide. For unrelated reasons, I left him; and then needed a place to stay. I ended up on Mary's sofa as she went for her first bout of chemotherapy. Shortly before the chemo actually started, I took a solo camping trip to the hot spring in Tonopah, where I met a guy who told me all about hydrogen peroxide, which he had used to cure his own colon cancer some years earlier, when his lack of insurance made it impossible to get chemo for himself, thus forcing him to find alternate treatments. I of course mentioned this to Mary; but she has never been one to put much stock in alternate anything. So to M.D. Anderson Cancer Center she went, and I went with her, along with our kids John and Jenny. The doctor was upbeat, and seemed confident that, after six months of chemo, Mary would be able to beat her cancer. An appointment was made for her to come in on a specific Monday for her first treatment. They have quite an operation going. The first floor is the lab, where Mary had to give a blood sample. On the second floor, her vitals were taken and we consulted with the doctor, who explained which chemicals would be used, what precautions she should take, and what the many side effects would be. She already had a PICC (peripherally inserted cardiac catheter) line from her hospital stay. So then, on the third floor, Mary was set up in a carrel with a TV, DVD player, and bag after bag of chemicals pre-loaded into plastic bags. These are not mild chemicals. In fact, they are so potent that Mary's sweat was to be considered toxic, and had to be treated as such! After sitting for four hours of chemical infusions through her PICC line, Mary was outfitted with a portable pump that would feed her still more chemicals over the next 22 hours. As warned, Mary became nauseated during the day Tuesday. They had given her pills for that. (In fact, she had so many pills to take she had to use a notebook to keep track of them!) She was too sick to leave her bed for anything but the bathroom; I offered to cook but she was too sick to eat. The next six months dragged on, and I won't bore you with the blow-by-blow. Suffice it to say, by the time the six months was over and Mary was, indeed, declared cancer-free, she was almost too exhausted to celebrate. Weeks went by and the chemo side effects diminished, but very slowly. And then, just a few weeks after being told she was cancer-free, a test result came in and she no longer was. The cancer was back, and although it was still considered colon cancer, it had actually taken up residence in the fatty tissue around her belly. Mary had borne all this pain and inconvenience with amazing good grace. "I just don't feel my time is up," she said. Our daughter, Jenny, and I had accompanied Mary to the doctor, intuiting that he didn't have good news. In fact, when he entered the room, he looked like he was about to cry. Mary was stoic, but both Jenny and I had tears in our eyes. "We'll switch to milder chemicals," the doctor explained, "because we now have to look at managing the cancer rather than curing it. That means coming in for chemo indefinitely. The milder chemicals will make you feel less sick, so you can tolerate the continuing regimen better." "Isn't there a chance she might yet recover?" Jenny asked. "There's always a chance," the doctor replied, in the same tone he'd have used to explain there was a chance the moon could leave the earth and move to another solar system. Since her PICC line had been removed (they can only remain in place for six months), Mary had a "port" implanted just above her right breast; and we proceeded to her first chemo of the second run. By that night it was clear, the new, "milder" chemo wasn't milder at all. Mary was sicker than she'd ever been. As before, she was on a biweekly schedule. Previously, she'd been sick the week of the chemo but pretty much okay the week after. This time, though, she remained bedridden for most of the entire two-week period. Against this backdrop, Jenny and her fiancé were planning to be married in Maui on Valentine's Day. Of course, they wanted Mary to go. But she felt too sick. 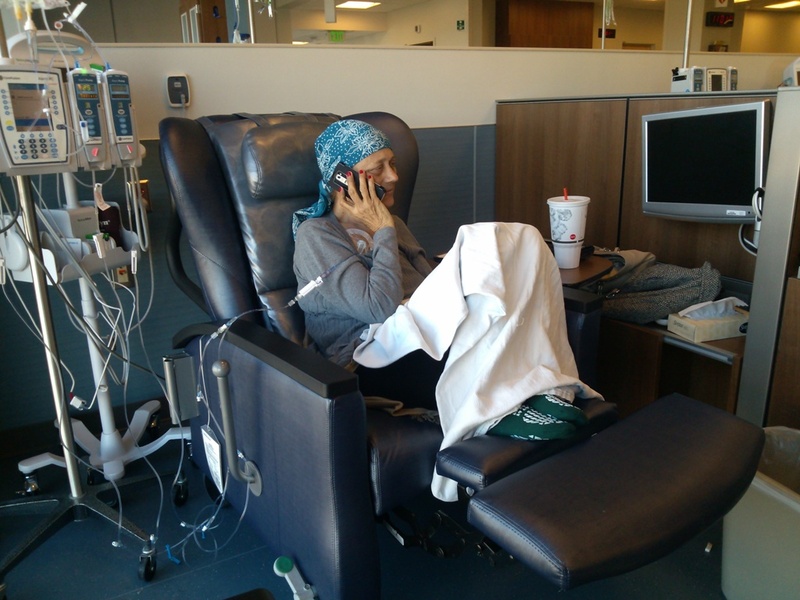 She arranged with the doctor to miss one chemo session so she could recoup. He clearly didn't think it would make any difference. I could tell from his demeanor that he didn't expect Mary to live much longer, so she might as well enjoy Maui before she died. So at last, I ended my silence about chemo—it actually kills as many people as it cures—and began lobbying for Mary to start taking hydrogen peroxide in addition to the chemo. Knowing she would be more amenable if Jenny and John and our other kids, Karen and Dorothy, would also recommend it, I sent them links to sites that explain how it works. A survey of 128 US cancer doctors found that if they contracted cancer, more than 80% would not take chemotherapy! At her next appointment, Mary asked the nurse taking her vitals what she thought about taking hydrogen peroxide. Of course, the nurse had no idea what Mary was talking about, and advised against it. Two weeks later, her blood test came back with grim news. Her Carcinoembryonic Antigen (CEA) level had jumped to 64. This marker is a protein produced by some cancers, including colon cancer, as well as inflammation. In a healthy, non-smoking person, it should be in the 3-4 range or lower. Mary's cancer was getting the best of the chemo. The doctor didn't say so, and neither did I; neither of us wanted to alarm her. But this was seriously bad news, and I convinced Mary to try at least a few drops of the hydrogen peroxide (very diluted, of course) each day. I pointed out that the previous two weeks without it could be construed as an experiment: Without H2O2, her CEA level went up. Now, I suggested, just give it a try! —And see what her next blood test would reveal. After all, I had been taking it myself for over a year, with no side effects but an end to my arthritis. So she agreed, and although I was frustrated at her slow rate of adding drops to her doses (you're supposed to start at three drops per glass of distilled or spring water—never tap!—and add a drop per day; she was adding more like a drop a week and I was afraid she wouldn't see an improvement. But with her next lab test, her CEA level was down to 18.2! From 64 to 18.2 in just two weeks is amazing, almost unbelievable. Of course, the doctor was certain it was the chemo that made the difference. Perhaps the new, "milder" chemicals were doing a better job, for some reason. Then we came to the week in which Mary was to skip chemo. The doc expected her CEA to rise, of course. But in two weeks before the trip to Maui, Mary went to Jenny's naturopathic doctor, who gave Mary H2O2 infusions, 3% solution in 300mg of saline. Mary had a final blood test before we headed for the airport. We got the results in Hawaii. Mary's CEA was now down to an incredible 12.8! Still above the normal range, but lower than the chemo had been able to get it. Having foregone the chemo for a month, Mary's complexion began to improve; she wasn't so nauseated, and her energy was up. When we returned from Maui, Mary had another couple of hydrogen peroxide infusions, then this morning went to M.D. Anderson for her blood test and her next scheduled session of chemo. The blood test revealed a CEA of just 8.9! I could hardly breathe, I was so excited and relieved that this treatment I had recommended was not only working, but working almost unbelievably well! Remember, with the chemo alone, her CEA had risen terrifyingly high. With hydrogen peroxide, taken orally as well as by infusion, her CEA had dropped to almost a cancer-free level. Mary is one smart cookie, and she made that leap to putting herself in charge of her own health. However, she had asked me to come along for moral support. "I don't want to continue the chemo, at least, for now," she told the doctor. She told him about the hydrogen peroxide, and he became upset. He referred to the naturopathic doctor (the one who had actually brought about a reduction of Mary's cancer!) as a quack. "Do you honestly think he knows more than I do? After all the labs I've done?" So Mary did not get chemo today, and instead went for another H2O2 infusion with the naturopathic doctor. Mary's CEA levels will drop more slowly, as they graph logarithmically as they improve. Mary will get another lab done in two weeks, and I am certain her CEA level will have gone down further. I shall, of course, blog about it either way. But from where I sit, I can now with some certainty say that hydrogen peroxide is a cure for cancer, one that is pretty cheap (far cheaper than chemotherapy! ), and has no side effects (other than also curing arthritis). And if cancer runs in your family, as it does mine, taking a full dose of 25 drops of 35% food grade hydrogen peroxide every three or four days will prevent it from ever taking hold in your body. Mary may be my ex-wife but she is also the mother of our children, and she is family and I love her dearly. So it is with enormous pleasure that I am now able to watch as her hair grows back in, her complexion returns to normal, and she regains her former high level of energy. She is a beautiful, loving, caring and wonderful lady and I, too, do not feel that her time is anywhere near being "up". In fact, I now have hope—which I didn't have when she was taking the chemotherapy—that she will actually recover, and return to her regular job of making everyone who meets her, fall in love with her. Mary died, and it was so unnecessary. She told her doctor, after he told her she was cancer-free, that she had used the hydrogen peroxide and he hit the roof. Actually yelled at her for taking chances with her health, insisted that the H2O2 had nothing to do with her "cure". So she stopped taking it. Her CAE count went up within two weeks. No longer "cancer-free", she had to go back on chemo, which made her sicker and sicker; but she was too terrified of the H2O2 to try it again.